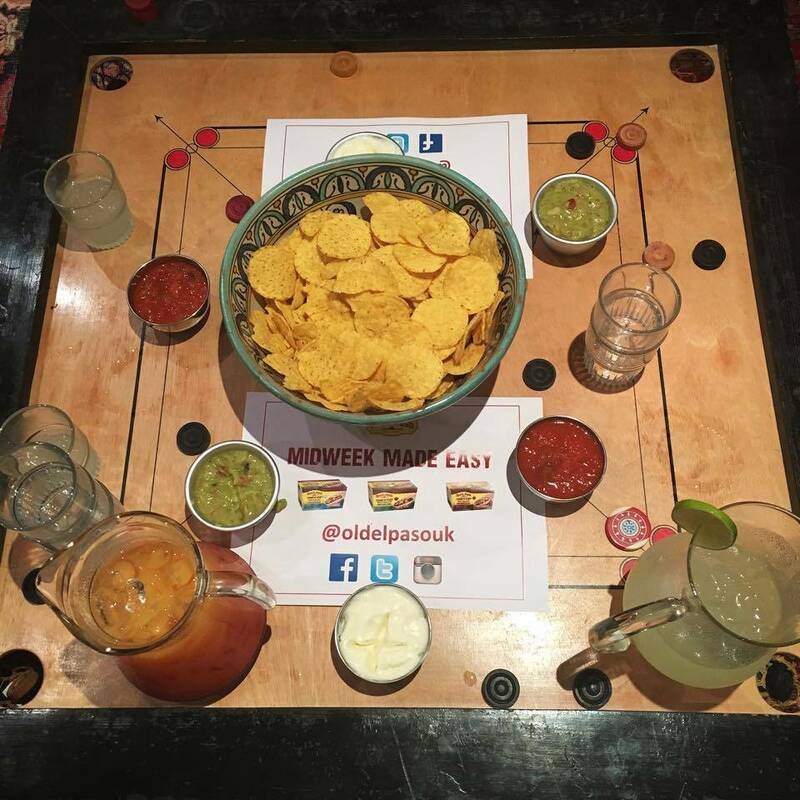 On Tuesday I went to an Old El Paso #TacoTuesday event at ‘Food at 52‘ in Shoreditch. The purpose of the evening: to make people aware of the relaunch of their ‘Stand N Stuff’ #TacoTuesday range – an easy midweek meal solution, for hassle-free tasty food! On arrival I was greeted by the lovely Micaela of Stylish London Living (who had co-ordinated the event) and the tables inside the very cosy lounge like area were filled with tortilla chips, dips,and jugs of margarita and virgin tequila sunrise. I’m an absolute guacamole fiend and am quite partial to a cocktail, so after my journey to the venue from work (that took twice as long as it should have), I was very happy to be greeted with this! After a little bit of chit chat and getting to know some of the other bloggers that were there, including Kaye (Fordtography), Manjiri (Travels For Taste) and Nayna (Simply Sensational Food/Citrus Spice). We were invited downstairs to the cooking area, a lovely big kitchen with a long table, full of colourful veg, (a little bit of meat – not of interest to me!) and fancy table top cooking equipment. 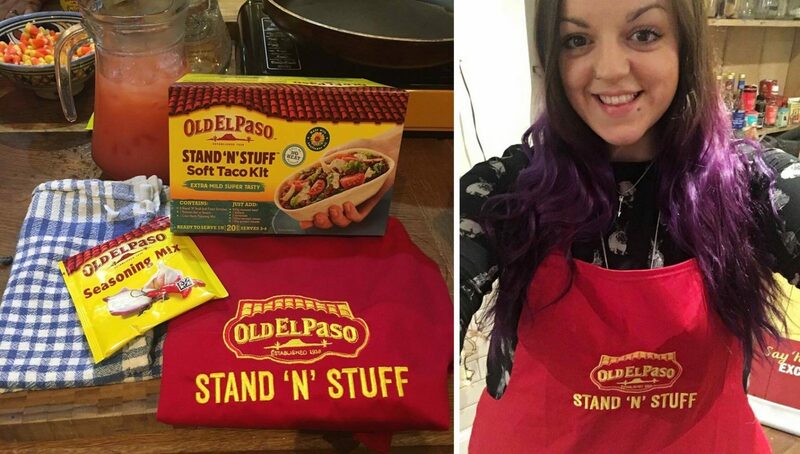 Each of us had our own prepping station, including a red Old El Paso “Stand N Stuff” apron. (I was pretty excited at the end when I was told we could take these home). The range comes in a selection of flavours: Smoky BBQ, Extra Mild Super Tasty and Garlic & Paprika – we were cooking with Smoky BBQ flavour which I was a little unsure about (being a veggie means the whole smoky/bbq flavour isn’t really my thing usually) but I was actually very pleasantly surprised! We chopped and cooked a selection of veg (sweet potato, onion, courgette, and peppers) as well as some raw bits and bobs of salad/grated cheese to go in the tacos. Sweet potato and onions went into the pan first, followed after a few minutes by courgettes and peppers and then finally after all the veg was nicely cooked, we added Old El Paso sauce and kidney beans. As well as the cooked veg we had grated cheese (and we all know how much I love cheese) and chopped tomatoes and lettuce… There was also some jalapeños for good measure, because what is a Mexican inspired meal without a bit of spice, ey! The finished “boat” tacos were absolutely delicious and super duper simple to make. I’m looking forward to giving them a go again in the future. The goody bags contained a press release along with 8 Stand N Stuff Tortillas and a Stand N Stuff Soft Taco kit! Now, if you know me well/we’re friends on Facebook you’ll know I absolutely love making homemade “fast food” and I’m a sucker for cooked veg so this was a pretty great evening in my books. I would definitely recommend getting some of these soft taco boats on your next food shop. 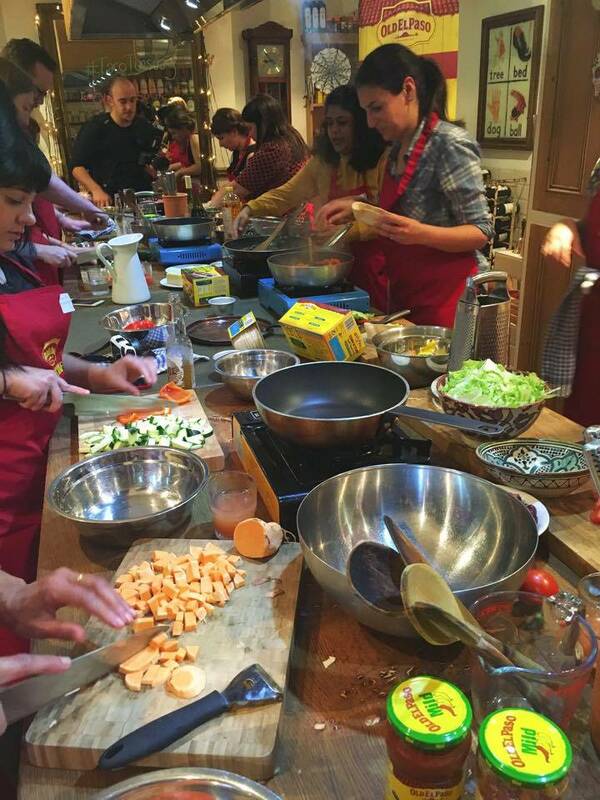 It was lovely meeting other bloggers too, in particular Kaye (Fordtography) and Nayna (Simply Sensational Food/Citrus Spice) who I was cooking with, and Manjiri (Travels For Taste) who I had a lovely walk back to the station/tube journey with. Looking forward to crossing paths again! 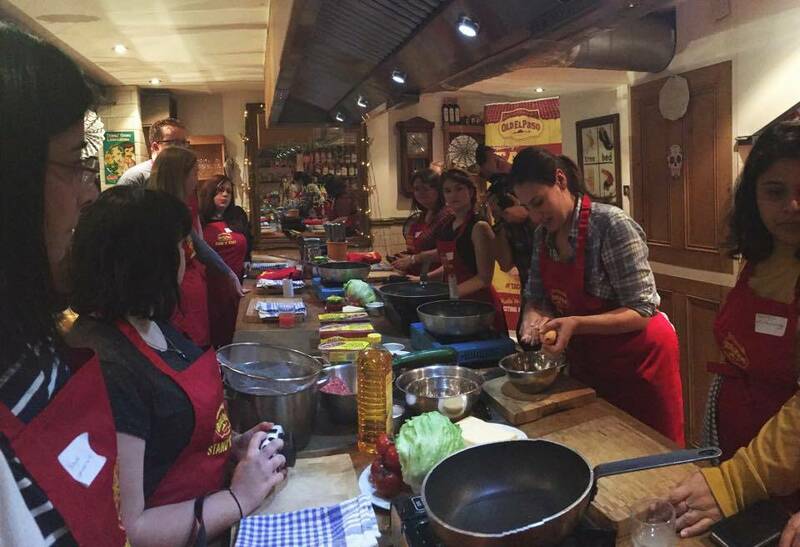 Thanks to Old El Paso, Food at 52 and Micaela of Stylish London Living for such a fun evening! 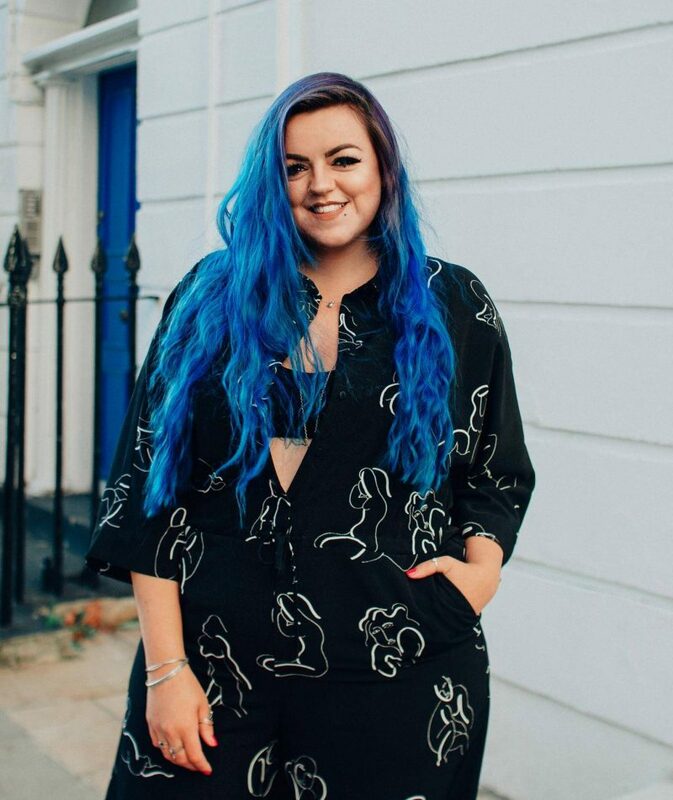 Nice blog looks good…you may remember we spoke a while back. As I remember you do music you sent me over a link to your soundcloud 🙂 Hope all is well?